I LOVE TRAVEL! 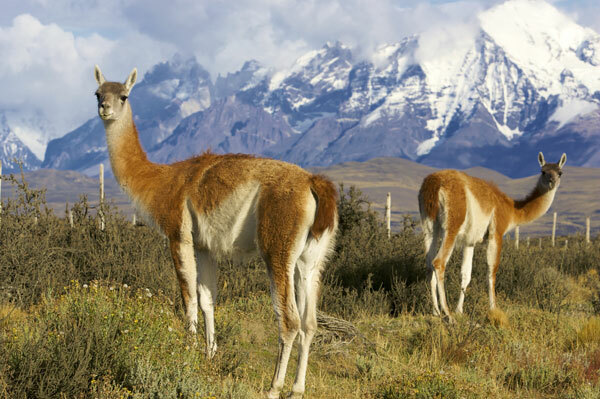 Simply put – experiential travel for me is awe-inspiring, soul-stirring, heart-opening, fun, and above of all, life-changing. And I’m going to guess that if you’re looking at this page you probably feel the same way too! ESPECIALLY if you could be netting 10-100k OR MORE from each retreat?! Most of us avoid the idea because we don’t really know the in’s and out’s of planning a retreat, especially if it’s out of the country. And we’ve all heard of folks who have had to cancel a retreat because they couldn’t fill it or who under-priced their event and actually lost money doing it. And that’s NOT where we want to be! How do I actually start planning a retreat, and how do I arrange all the pieces? How do I figure out how to price my event properly if I’m not even sure how many people are coming? What kind of legal forms do I need so that I’m fully protected? What’s the best way to layout my event to make it truly transformational and life-changing? How do I structure my retreat so that I’m making money on it even after the event is over? actual transformational process and experience? More than anything, we want to create the environment for lasting transformation to occur because – that’s what folks are paying for. And I know you can hold an event at a retreat center that technically isn’t much different than what you would create back home, but what I’d like to focus on is creating a different kind of event – one where the actual location plays a part in the teachings themselves. 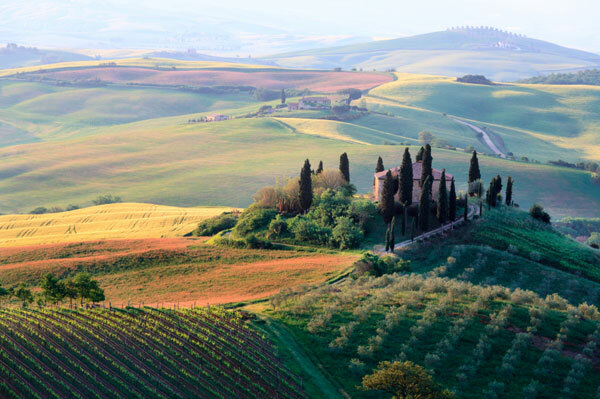 This ONE PIECE by the way, is without doubt the critical distinction between a truly transformational destination retreat and yet another plain old workshop in a pretty place. 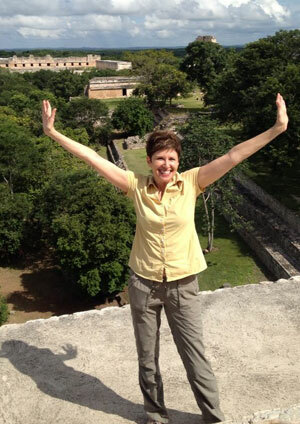 So that said…how would you like to learn how to create a life-changing retreat in the next 6 months that your clients rave about, line up for, and is totally different from what everyone else is doing? Yep, that’s what I thought. 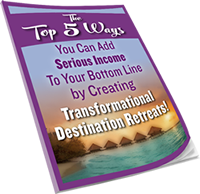 So sign up at the TOP of this page for my Free Report on: The Top 5 Ways YOU Can Add Serious Income To Your Bottom Line By Creating Transformational Destination Retreats!